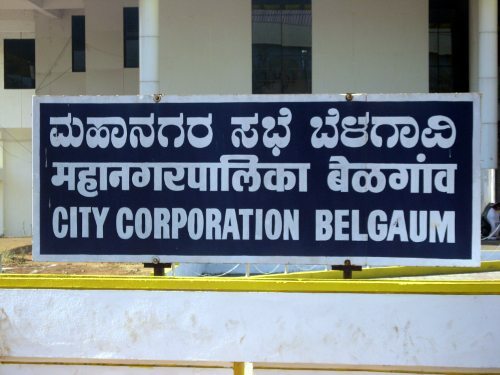 The election of the Standing committees for the city corporation Belgaum would be held on May 8 at 1 PM. The process for the same would begin from 10 AM. As per the Karnataka Municipal Corporation Act, 1976, the amending legislation has provided for constitution of 4 Standing Committees, namely, “the Standing Committee for Taxation, Finance and Appeals”, “the Standing Committee for Public Health, Education and Social Justice”, “the Standing Committee for Town Planning and Improvement” and, “the Standing Committee for Accounts”. The standing committee shall consist of such number of councillors not being more than eleven or less than five as the municipal council may determine. The members of the standing committee shall hold office for a period of one year. The President and the Vice-President shall not be eligible for election as members of the standing committee. The Chairman of the Standing Committee shall be elected by the members thereof by the system of single transferable vote. Previous articleWhat is the Correct parking fee for cars at Belgaum Railway station Rs.10 or 20 ?